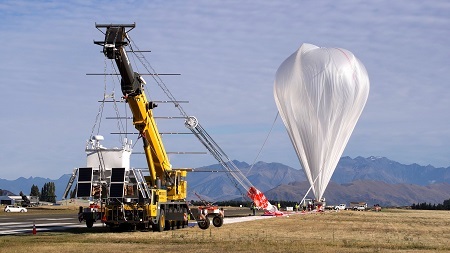 Less than six days after launching from Wanaka, New Zealand, NASA’s massive Super Pressure Balloon (SPB) completed its first continental crossing April 1 flying over the southern tips of Chile and Argentina. 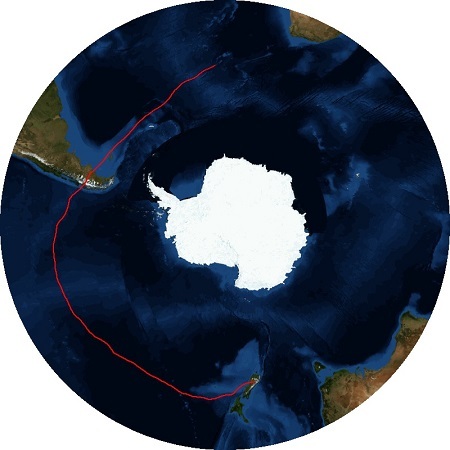 The balloon reached the South American continent around noon EDT, April 1, and continues on its potentially record-breaking mission that could see multiple circumnavigations of the globe over several weeks of flight. The SPB launched March 26 Eastern Time (March 27 New Zealand time) and has traveled nearly a third of the way around the world flying a 5,000-pound tracking and telemetry payload at a constant, near-space altitude of 110,000 feet. 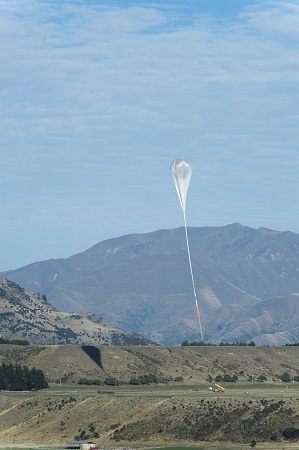 A NASA Super Pressure Balloon preparing for launch from Wanaka, New Zealand, March 26. 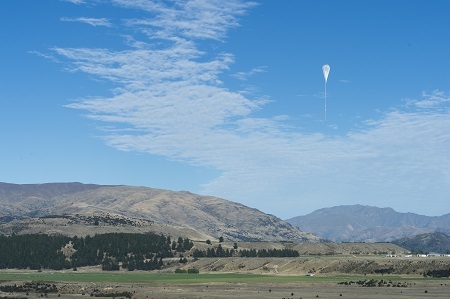 A NASA Super Pressure Balloon in the final moments leading up to launch from Wanaka, New Zealand, March 26. A NASA super pressure balloon takes to the skies on a potentially record-breaking, around-the-world flight, from Wanaka, New Zealand. The mission seeks to validate the SPB technology, specifically its ability to fly at a constant, near-space altitude as well as flying long duration upward of 100 days. The science and engineering communities have previously identified ultra long-duration balloon flights at stable altitudes as playing an important role in providing low cost access to the near-space environment for science and technology. Maintaining a constant float altitude in the stratosphere is a formidable challenge for airborne systems, including balloons. Most standard heavy-lift zero pressure balloons can vary in altitudes as great as 45,000 feet (13.7 km) due to the alternating warming and cooling of the day and night cycle. In response, mission operators typically release excess weight in the form of ballast to maintain altitude. However, the SPB is designed to maintain a positive internal pressure and shape irrespective of its environment, which keeps the balloon at a constant float altitude. Put another way, in much the same way a car tire pressure changes based on the environment around it while maintaining its volume, so does the SPB. Orbital ATK provides program management, mission planning, engineering services and field operations for NASA’s scientific balloon program. The program is executed from the Columbia Scientific Balloon Facility in Palestine, Texas. The Columbia team has launched more than 1,700 scientific balloons in over 35 years of operation. This SPB mission marks the first achievement for Orbital ATK in scientific balloon operations since NASA awarded the contract to the company in November 2014. NASA’s scientific balloons offer low-cost, near-space access for scientific payloads weighing up to 8,000 pounds for conducting scientific investigations in fields such as astrophysics, heliophysics and atmospheric research. 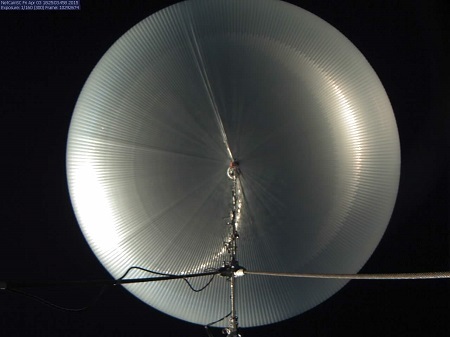 This entry was posted in Helium Balloons, Stratospheric Balloons and tagged helium balloon, high altitude helium balloons, NASA, NASA Balloon Program Office (BPO), Orbital ATK, Stratospheric balloon, Super Pressure Balloon (SPB), Wanaka New Zealand. Bookmark the permalink.